A few months ago, my wife gave me a subscription to the popular genealogy website, Ancestry.com. She has always been aware of my interest in the subject and this was the perfect gift. I began using the site immediately. From known grandparents and great-grandparents, I began to build a picture of my heritage. During my first hour of working on the site, I remembered what a business acquaintance had told me after he had built his family tree from the site. He had traced some of his ancestors to Scotland and discovered that one of his distant relations had been a noble of one of the Scottish Clans. This story peaked my excitement and I wondered if I might discover some hidden jewel in my ancestry from hundreds of years ago. I started on my mother’s side of the family tree. I already had a great deal of names and dates from records her family had kept through the years. As I honed in on one family name, the tree led me from Georgia to North Carolina to Virginia to Rhode Island and then to England. My search had revealed that one of my ancestors had been a Colonial Governor of Rhode Island back in the 17th century. I was awestruck by the information I had been able to detect from the vast records and information provided by the website. As I began to do my father’s side of the tree, I knew that my task would be more difficult and I would probably hit a dead-end. My paternal grandfather was an orphan. From the loosely weaved stories I had heard from my father, I knew that my grandfather had been sent to a Georgia Baptist Orphan’s Home as a young child. As the story goes, my grandfather had run away from the orphanage when he was around 10 years old. My father said that he had “jumped the fence”. He made his way back to Thomaston, Georgia, possibly remembering where he had come from or maybe just finding his way there on his escape. He found an older gentleman farmer who had known his family and he stayed with him and worked on his farm to earn his keep. My father may have told me the man’s name, but I don’t recall. As a teenager, I remember most of what my Dad had told me about my grandfather, but I didn’t write any of it down. We are usually thinking of other things when we are teenagers. My grandfather would work for this kind man until his late teenage years. He then left to go and work in one of the cotton mills that dotted the southern landscape of the early 20th century.He was about 24 years old when he found his bride. My grandmother was 16 years old at the time. He picked her up in a horse-drawn wagon and that’s how they would begin their lives. My grandfather would continue to work in the cotton mill and my grandmother would start having babies. As I searched my grandfather’s name in the database, I found a 1920 census document. As I looked at the scanned electronic image in front of me, I was compelled to touch the screen where his name was written in grade school cursive. I felt as if somehow touching the screen would transport me back to a little house in Thomaston, Georgia in 1920 and I would watch the census taker write down the information my grandparents had told him. I continued reading the information listed on the census questions. I was taken aback when I read the answers to two questions listed on the form. The questions were simply stated Can Read? and Can Write? The answers given next to my grandfather’s name were both No. In the back of my mind, I seemed to recall that my father told me that my grandfather could not read or write, but to see it recorded officially on a census document was really a revelation to me. My fingertips once again move over the line of my grandfather’s information. Age: 27 Race: White Occupation: Weaver. But my fingers and my eyes would stay focused on the answers to those two questions Can Read? No. Can Write? No. My thoughts took me back to that little boy, alone in the world, finding his way, finding the family friend and farmer, finding a place to live and a place to work. He didn’t go to school, but he used his brain, his back and his hands to learn to farm and learn to use tools. As I sat and thought more about him, I began to recall the end of his life. I was 7 years old when he passed away. My father was giving him a bath and he fell lifeless. I remember peering in on my father bathing my grandfather. My curious eyes wanting to see what my daddy was doing and seeing my grandfather sitting in the tub. When my grandfather collapsed, my father brought him into the bedroom and tried to revive him but to no avail. My last vision of my grandfather was of him laying in his coffin. On Saturday morning after breakfast, I can remember my grandpa always putting on his hat, a fedora, and we would walk outside and look at his garden. We would then go out into the barn where he used to keep his Beagles. He raised Beagles sometimes. He also liked to enjoy an occasional pipe. One memory of my grandparents is a telling reminder of the words I read on the census document. I remember on some of those weekend nights, my grandma would read aloud from her Bible. I thought that she was doing this for the benefit of me and my little brother, but hindsight tells me that she had done this many times before for the benefit of her husband. I remember him sitting and listening intently to our Bible lesson. Turning away from the census document on my computer screen, I began to think about my grandpa as a young man and what he had accomplished in his life. After working in the mill in Thomaston for a few years, my grandpa and grandma and their small children moved to Griffin, Georgia. My grandpa had saved some money to buy some land. On this land, he would build his home and he would farm. He built his home with his own hands and he would build three more there on Wright street in Griffin. He also continued to work in one of the cotton mills in Griffin. But from all of the recollections from my father, my grandpa’s proudest vocation was farming. My father’s memories recalled a gifted farmer. His furrows were straight and his dirt free from weeds. He would spend countless hours tending to his crops, ensuring a bountiful harvest. I’m not sure if my grandpa had any political leanings, but he did not like President Roosevelt. The root of that discord comes from a story my father told me about one of my grandpa’s cotton crops. One year in the 1930’s, my grandpa had one of his most productive cotton crops, but government officials from the department of agriculture told him to plow under his crop. He couldn’t sell it because of the “New Deal” policies of the time. He was furious and lamented the losses he incurred because of Mr. Roosevelt’s policies. My grandpa had another cotton crop during those years that he was able to sell, but took a loss because of my father. 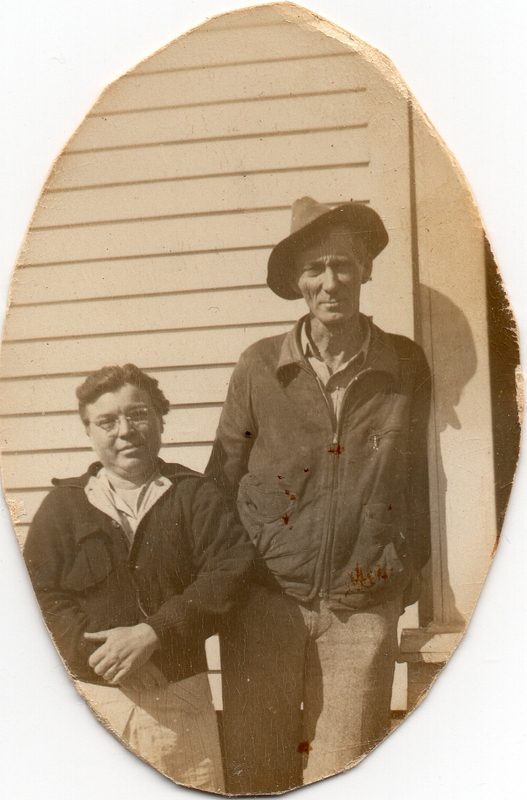 My grandpa and my father were taking the crop to market in a horse-drawn wagon. When they got to the gin, my father, clad in overalls and no shoes, jumped off the wagon and impaled his foot on a nail. The profits from the sale of my grandpa’s crop would go toward my father’s doctor bills. My grandpa and grandma would raise four children, two boys and two girls. My grandpa farmed and worked in the cotton mill. 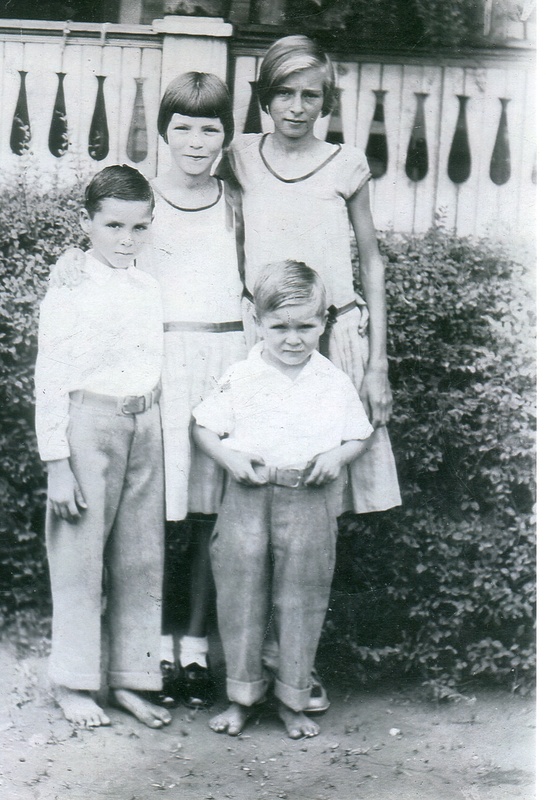 My grandma would raise the children, keep house and she also worked for a time in the cotton mill. They would be commonly referred to as “Cotton Miller’s”. These were working class people who would sometimes be referred to in a derogatory manner because of the work they did and their social status. My grandpa was not rich and would never be rich, but he made a rich life for himself, his wife and his children. He was an accomplished tradesman in a cotton mill, he was a great farmer and he was a good father and husband and he was a man of God. He had started this life as an illiterate orphan, but through some hard work, perseverance and some rugged individualism, he made a good life for himself and his family. His progeny includes a professor of biology at a large southeastern university, multiple school teachers, nurses, dental professionals, business men and women, a preacher and a former Army officer who is now a Logistician and a part-time writer. His youngest great-grandson is an executive with General Electric and his youngest great-grand daughter is an Honor student. Not a bad legacy for a man who could not read or write his own name. The homes that my grandpa built with his own hands still stand on Wright street in Griffin, Georgia some 80 plus years later. When I worked in Griffin, I used to drive by that street every so often to see where I used to play as a young boy in the late 1960’s. Those homes will probably disappear with the passage of time, but the legacy of the man who built them will remain etched in the memories of his descendants. 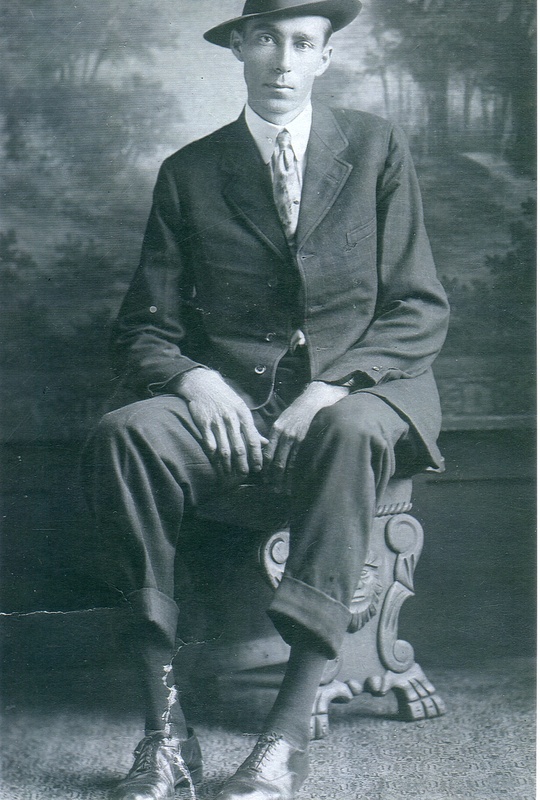 I will continue my genealogy research of my family, who knows, I might discover some new information about my grandpa. Maybe some of my siblings and cousins who read this may be able to add some history. Whatever the case, my proudest legacy was found only two generations away, gleaned from two questions on a census document. A revelation that revealed to me the measure of a man. The hidden jewel I found on Ancestry.com was my “Grandpa”. What sweet memories, and what a great legacy.